SatNews — NASA has now given gamers a taste of lunar adventure with release of Moonbase Alpha, an exciting, new, free, online video game. 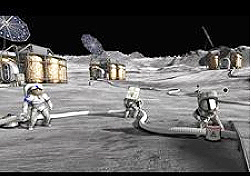 The game has single and multiplayer options that allow participants to step into the role of an exploration team member in a futuristic 3D lunar settlement. Players must work to restore critical systems and oxygen flow after a meteor strike cripples a solar array and life support equipment. 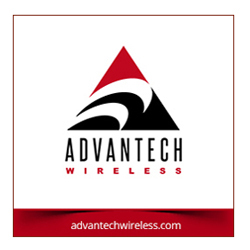 Available resources include an interactive command center, lunar rover, mobile robotic repair units and am fully-stocked equipment shed. The game is a proof of concept to show how NASA content can be combined with a cutting-edge game engine to inspire, engage, and educate students about agency technologies, job opportunities, and the future of space exploration. Moonbase Alpha is rated "E" for everyone. This is the first game in NASA's Learning Technologies project. The project supports the delivery of NASA content through interactive technologies, such as virtual worlds, games, and software applications to enhance science, technology, engineering and mathematics, or STEM, education. Moonbase Alpha is a precursor to a planned NASA-based massively, multiplayer online game project. The project is being designed to have content and missions that require players to gain and demonstrate STEM knowledge to succeed. 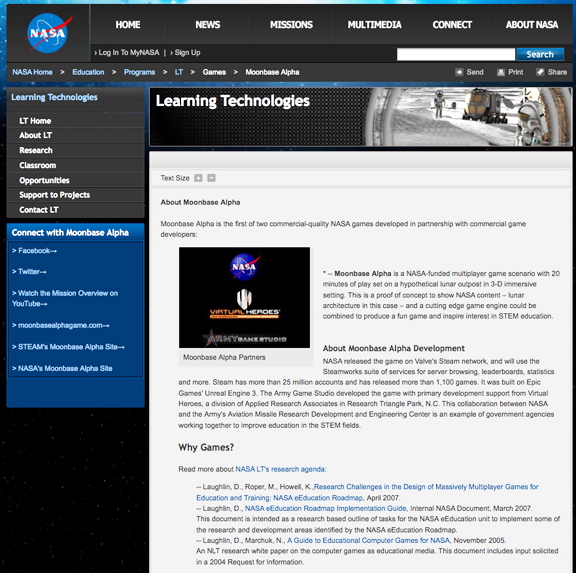 NASA released the game on Valve's Steam network. The agency will use the Steamworks suite of services for server browsing, leaderboards, statistics and more. Steam has more than 25 million accounts and has released more than 1,100 games. It was built on Epic Games' Unreal Engine 3.The Army Game Studio developed the game with support from Virtual Heroes, a division of Applied Research Associates in Research Triangle Park, N.C. This collaboration between NASA and the Army's Aviation Missile Research Development and Engineering Center is an example of government agencies working together to improve education in the STEM fields.